The core team includes experts in coral reef ecology, social science, and business. The team has spent more than two years testing and perfecting methods for coral propagation and outplanting. Careers are important, of course, but we strive to keep a strong team dynamic of mutual support. Our support team includes David Vaughan, a global leader in coral reef restoration, and Tom Weaver, dive instructor and business consultant. Guido Saborio of Costa Rica’s El Sistema Nacional de Áreas de Conservación (SINAC), del Ministerio de Ambiente y Energía (MINAE), provides advice on marine and coastal zone regulations. Joanie is a scientist at the National Center for Atmospheric Research in Boulder CO, and studies how climate change and ocean acidification impact coral reefs. She has conducted research on coral reefs for more than 30 years, and now concentrates on finding solutions to coral reef decline. Álvaro is an entrepreneur and agricultural engineer with nearly 10 years of experience in businesses that promote ecological sustainability, including projects in aquaculture and reforestation. He is currently with Kairos Investments. Tati is is completing a Master's thesis at the University of Costa Rica that addresses not only reef ecology, but how coral reefs benefit local communities and how local communities can positively impact reefs. Her passion is to incorporate coral reproduction and genetics into restoration efforts. 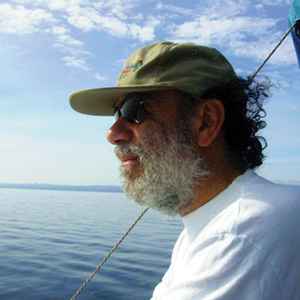 Juan José is a professor of marine biology at University of Costa Rica's Centro de Investigación en Ciencias del Mar y Limnología (CIMAR). He conducts coral reef research throughout Costa Rica. He is currently conducting land-based coral propagation techniques. José Andrés is a student at the National University of Costa Rica, and is conducting research on land-based techniques for propagating corals. He plans to pursue a Master’s thesis to investigate how coral restoration affects the entire community of reef organisms. Jorge is a professor and co-Director of the University of Costa Rica's Centro de Investigación en Ciencias del Mar y Limnología (CIMAR). He is a world-renowned expert on Latin American coral reefs, and has published several books and many papers on the coral reefs of Costa Rica. We could not do our work without the generosity of our sponsors.